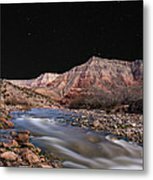 Virgin River At Night 2 iphone x case by Richard Dickinson. Protect your iPhone X with an impact-resistant, slim-profile, hard-shell case. The image is printed directly onto the case and wrapped around the edges for a beautiful presentation. Simply snap the case onto your iPhone X for instant protection and direct access to all of the phone's features! 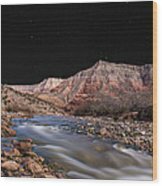 There are no comments for Virgin River At Night 2. Click here to post the first comment. 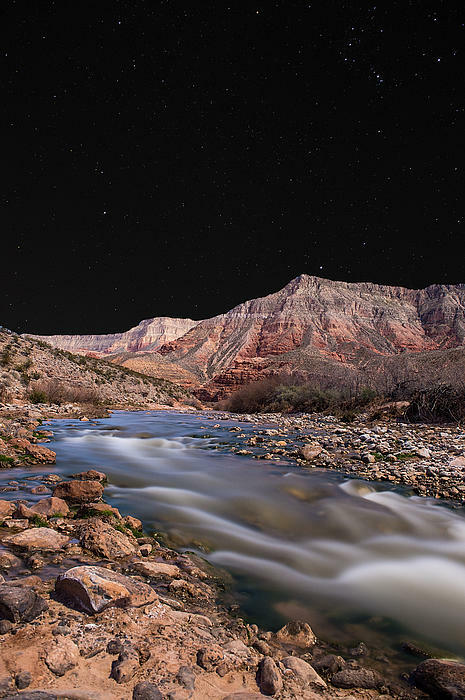 This is a combination of two long exposures. Humans started producing photographs in the early 1800s. Since then the equipment and the developing techniques have been steadily improving. Improving to the point where photography is now a true art form. 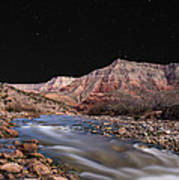 The advent of digital photography and the wonderful computer programs to develop those digital images has been a quantum leap forward for the art form. Richard has always been intrigued with the process of capturing a moment in time and freezing it in a photograph to be enjoyed for many years to come. Nature is a wondrous source of beauty and trying to portray that beauty in a photograph is a delicious challenge for Richard.